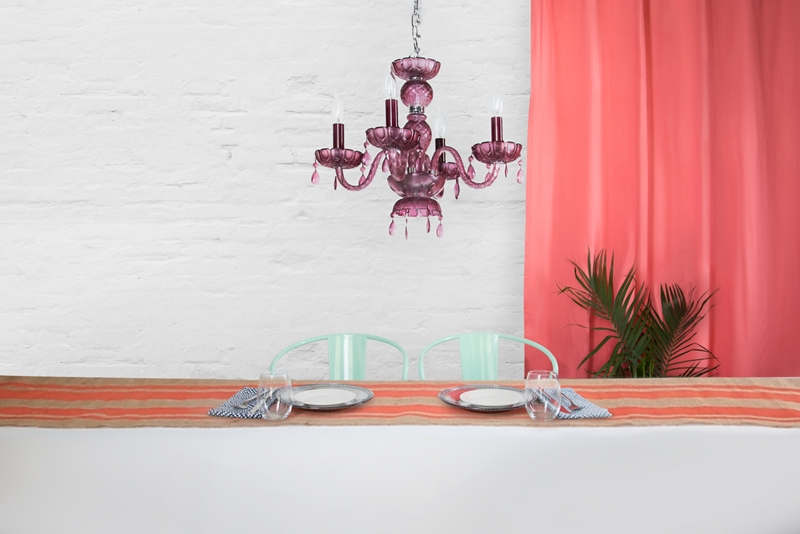 Transform a vintage glass chandelier using Krylon® Stained Glass Paint. Find a place outdoors or in a well-ventilated area to spray chandelier. Cover electrical sockets using painter’s tape. Wipe down chandelier using glass cleaner and microfiber cloth. Follow up using an anti-static wipe to remove excess dirt and debris. Tape off any areas of chandelier that are to remain unpainted. After reading can label for proper application and safety instructions, apply several light coats of Krylon Stained Glass Paint in Royal Purple until desired color intensity is achieved. Allow paint to fully dry prior to reassembling.